When I use the round corner-Filter and enter a value smaller than 26 everything ist OK: a value of e.g. 10 units results in the corresponding radius of 10 units. The same with 25 units. But a value of 26 results in a radius of 27 units, a value of 50 in 51, 100 = 102 and so on. So I must trial and error to get the correct result. Thanks for reporting, will have a look. I had a look. The code is one of the oldest in Glyphs. And for some reason, the radius is multiplied by 1.02. That is most likely because the filter i not inserting perfect circles and to make those segments look a bit smoother, it makes the curvature a bit sharper and the radius bigger. I won’t change that at this point as it will change the shape of exported fonts that use the filter in instances. If I check visual corrections, the radius is like entered, but it’s no longer a circle. 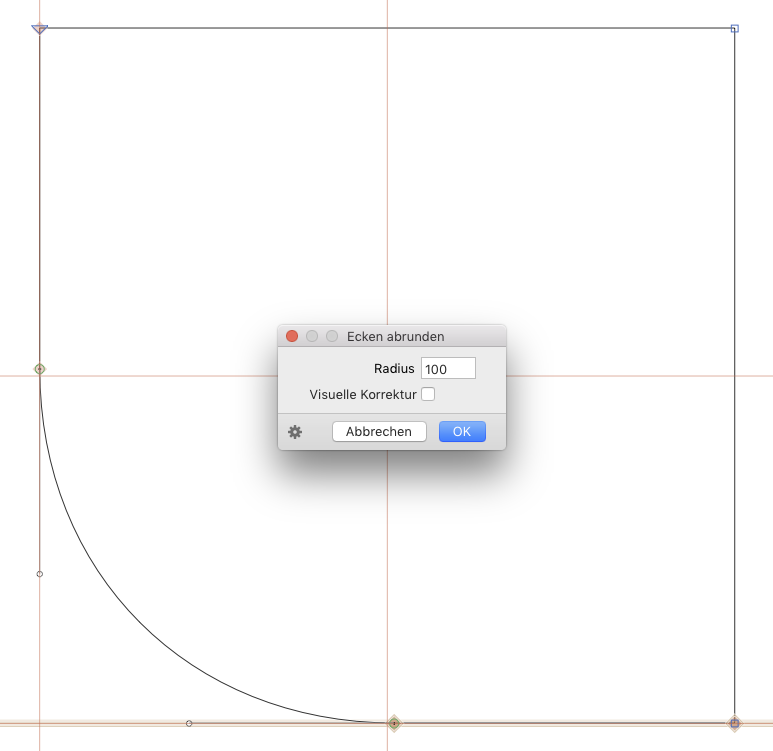 Maybe you can ad a second checkbox to get curves that has the entered radius. 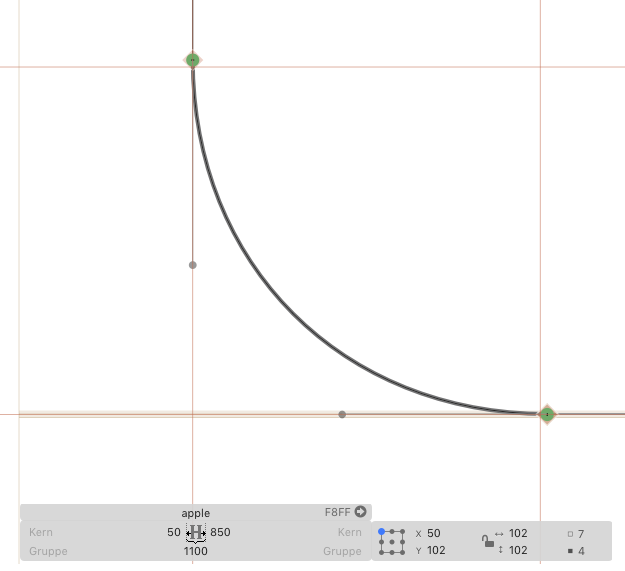 For now, you can divide by 1.02 to get the exact radius. E.g. for a hundred, enter 98.3.